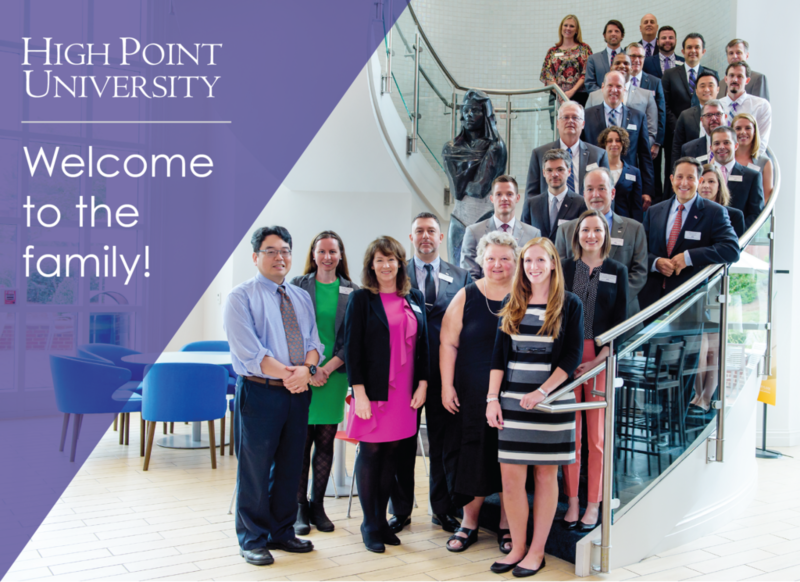 HIGH POINT, N.C., Oct. 5, 2018 – High Point University welcomed five new faculty members to the Stout School of Education. Dr. Charles Steven Bingham teaches leadership theory, strategic planning, political systems and organizational culture in the Department of Leadership Studies, advises doctoral dissertations and serves on the school’s teacher education committee. His research interests include principal leadership development, human performance improvement and job-embedded learning. He previously served in public schools as a teacher and principal, as an adjunct professor and full professor, and also co-created and directed the Triangle Leadership Academy in Raleigh. 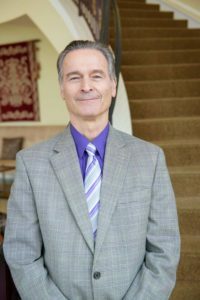 He has won multiple awards and published nearly three dozen professional journal and magazine articles, monographs, and book chapters, and he developed and launched the Journal of Organizational and Educational Leadership, a peer-reviewed online journal. Bingham graduated with bachelor’s and master’s degrees in music, and a doctorate in educational leadership from the University of North Carolina at Greensboro. He currently serves on two professional boards, the North Carolina Association of School Administrators and CREATE (Consortium for Research on Educational Assessment and Teaching Effectiveness). Dr. Kristy Davis teaches four classes within the Specialized Curriculum department, mostly focusing on teaching students with disabilities and strategies for an adapted curriculum. Her areas of research include preparing school leaders for advocacy roles for students with disabilities and ensuring high quality instruction for students with intellectual disabilities. 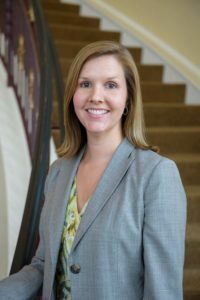 Davis earned her bachelor’s degree in special education and her master’s degree in school administration from the University of North Carolina at Greensboro, and her doctorate in educational leadership from HPU. 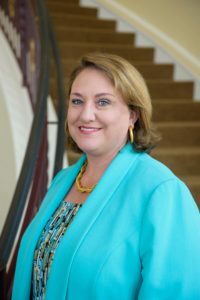 She has prior experience with exceptional children in the Guilford, Randolph and Alamance-Burlington school districts, and has served as both a principal and assistant principal for Guilford County Schools. 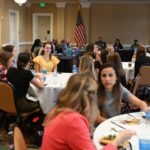 She has been an adjunct instructor at HPU and is currently a member of the HPU Leadership Academy’s principal leadership team. 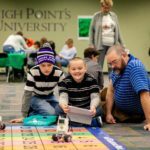 In 2016, she was named Arc of High Point Professional of the Year. “Having held several roles in my 14 years in public education, my hope is to provide my students with relevant examples and experiences that they will experience in their own classrooms and as beginning teachers,” says Davis. Dr. Amy Holcombe is a part of the Leadership Studies department within the School of Education. She teaches doctoral students, chairs dissertation committees and conducts research in her field. She has published and presented nationally on the topics of teacher effectiveness, performance-based compensation, human capital management, alternative certification and education leadership. Along with winning multiple awards, she has been a featured keynote speaker and panelist for National Public Radio, Senate briefings on Capitol Hill, and the Carnegie Foundation, among others. She has won more than $93 million in grants over the course of her career. Holcombe has a bachelor’s degree in English and master’s degrees in English education and school administration. She also has a Ph.D. in curriculum and teaching. For the past 23 years, she worked for Guilford County Schools as a teacher, principal, curriculum director, executive director of talent development, and executive director of strategic planning and development. Dr. Claire Lambert teaches classes on the topics of children’s literature, reading and education in the age of globalization. Her expertise is in teacher education with a focus in literacy instruction, reader/writer identity and writing pedagogy. Previously, she taught middle school English language arts before working as an assistant professor in teacher education at Salem College. She has presented at international conferences and has had her work published in the Journal of Adolescent and Adult Literacy and Teaching/Writing: The Journal of Writing Teacher Education. 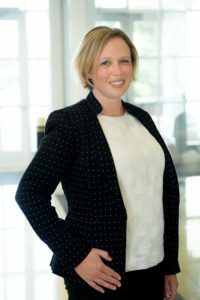 Lambert received her bachelor’s degree in English from the University of North Carolina at Chapel Hill, her master’s degree in teaching from Johns Hopkins University, and a doctorate in educational studies, teacher education from the University of North Carolina at Greensboro. Dr. Anne Leak teaches classes in the areas of math and science education and technology integration in elementary STEM programs for senior-level education majors and graduate students. 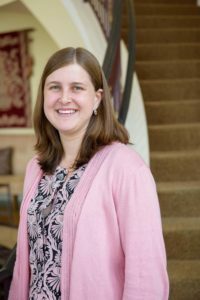 She is also involved in HPU’s global education and undergraduate research committees and is working to connect her research with the High Point community. 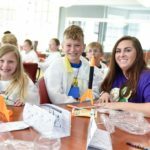 Leak’s expertise is in students’ community interactions and educational context as they learn science, technology, engineering and math (STEM). 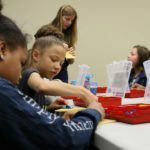 She explores these aspects in kindergartners through graduate students, with an interest in improving access to STEM among under-represented students. Having recently relocated from Rochester, New York, Leak has lived on both the East and West Coasts, as well as Cameroon and Kenya. She earned her bachelor’s degree in physics from Gettysburg College and both a Master of Arts and Ph.D. in science education from the University of California, Santa Barbara. She is president-elect of the engineering education research interest group within the National Association of Research in Science Teaching. She has published numerous articles and has given presentations on such topics as skills necessary for entry and success in the photonics and optics workforce, the role of a community-based STEM program on improving health and access to science education in rural Kenya, examining elementary students’ social interactions as they learn to program with new technologies, and the ways in which graduate students in chemistry learn to network and collaborate across cultures through research visits to China.